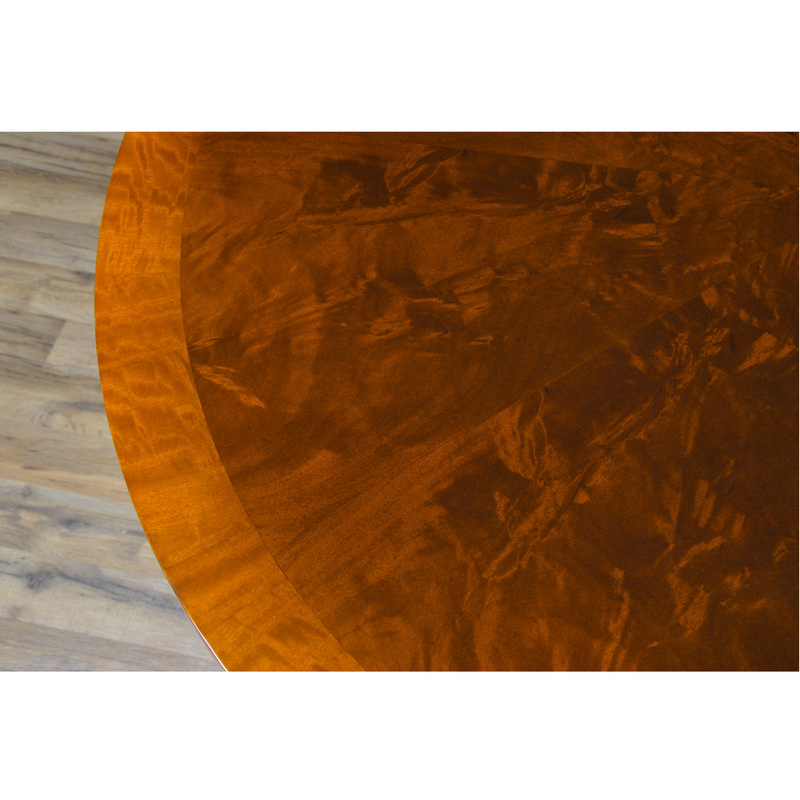 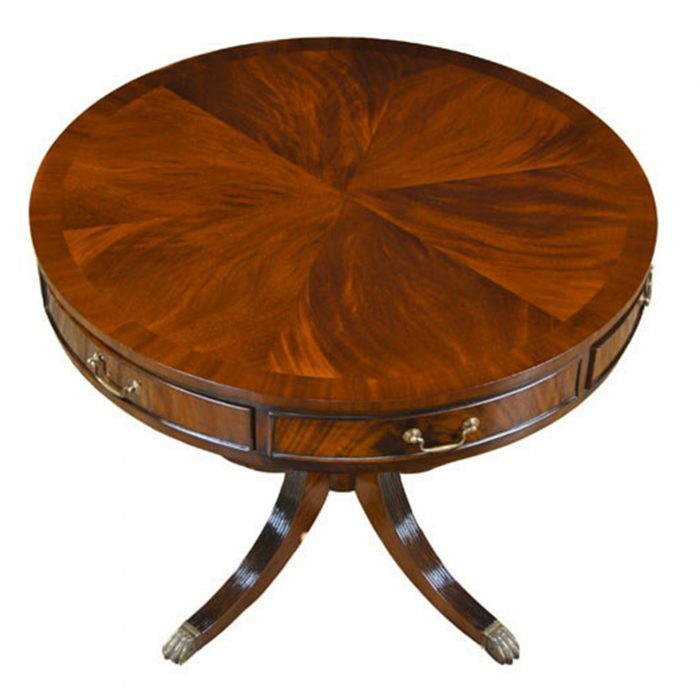 Produced and designed by Niagara Furniture to match many of our other Duncan Phyfe inspired items the Harp Center Table can be used in many places throughout the home. 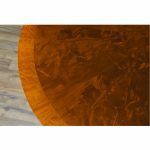 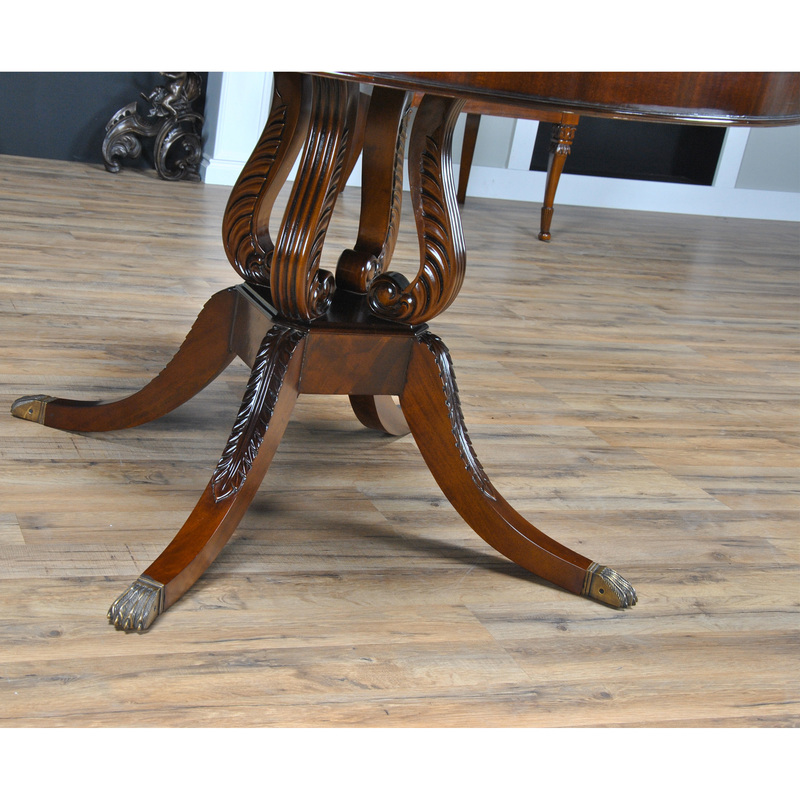 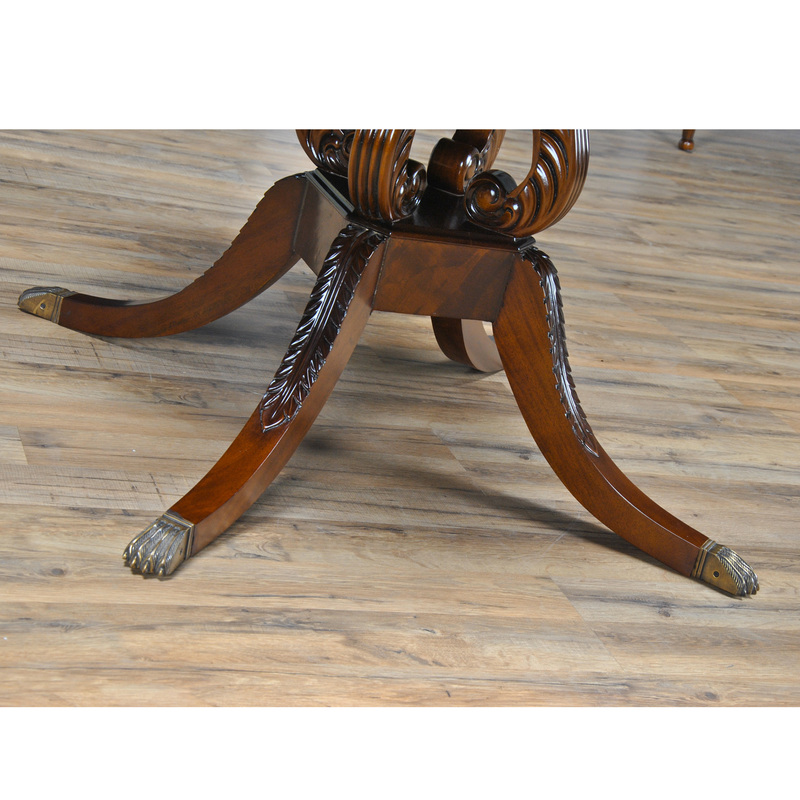 Ideal for an entry way it can also be utilized in a breakfast area, a more intimate dining setting or as the center table to a large living room. 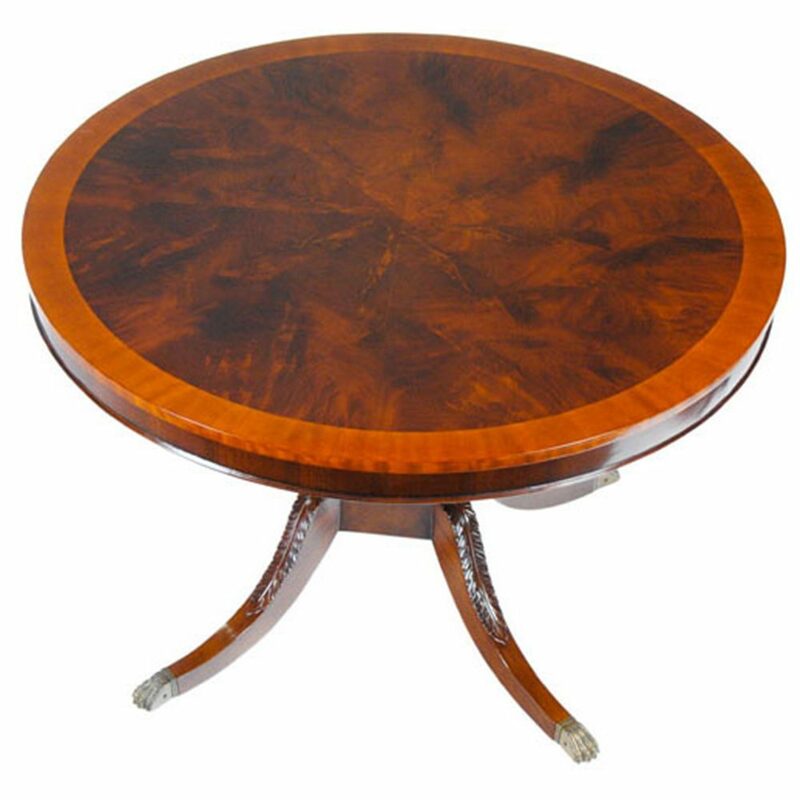 Banded with satinwood the top features pie cut mahogany veneers of the highest quality and a beautiful apron to match. 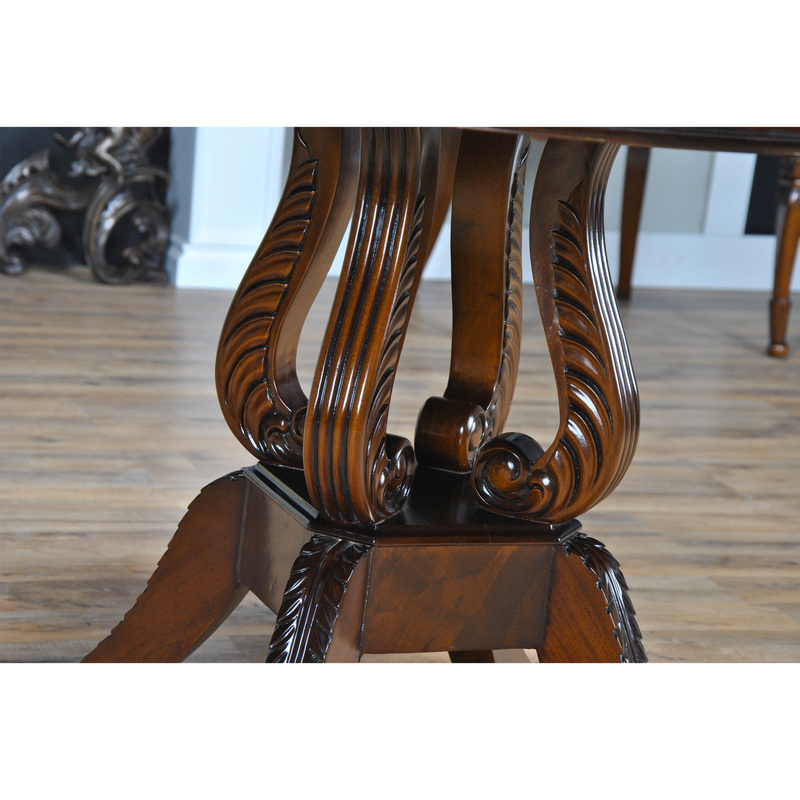 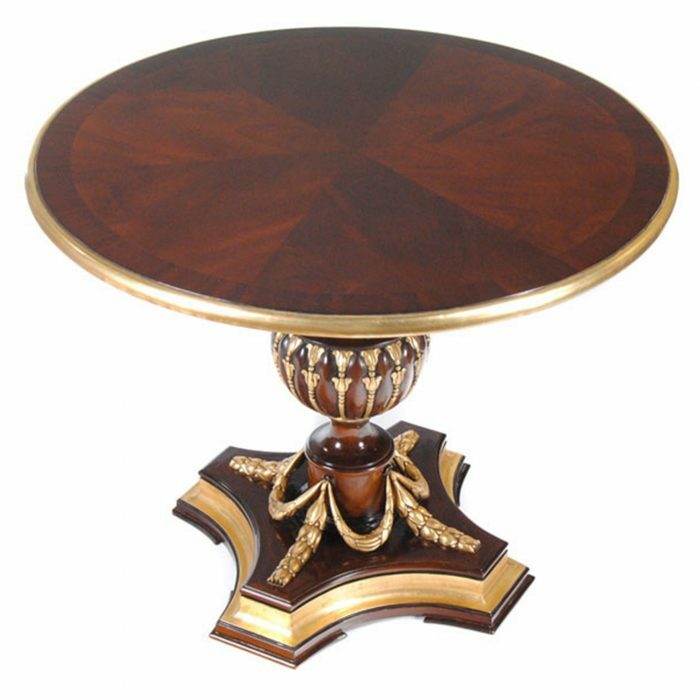 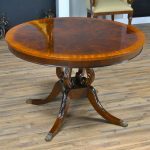 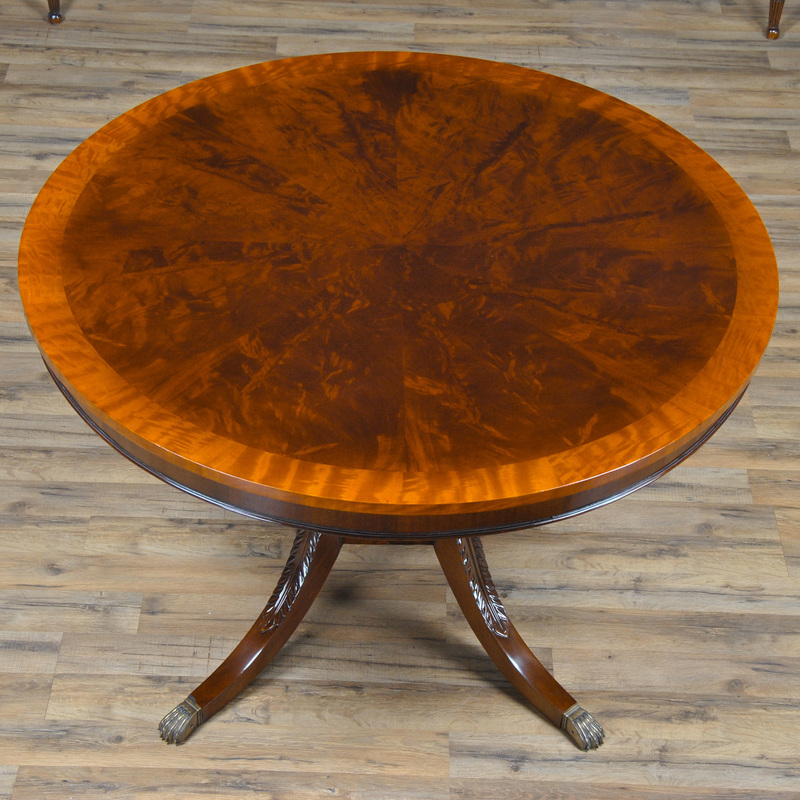 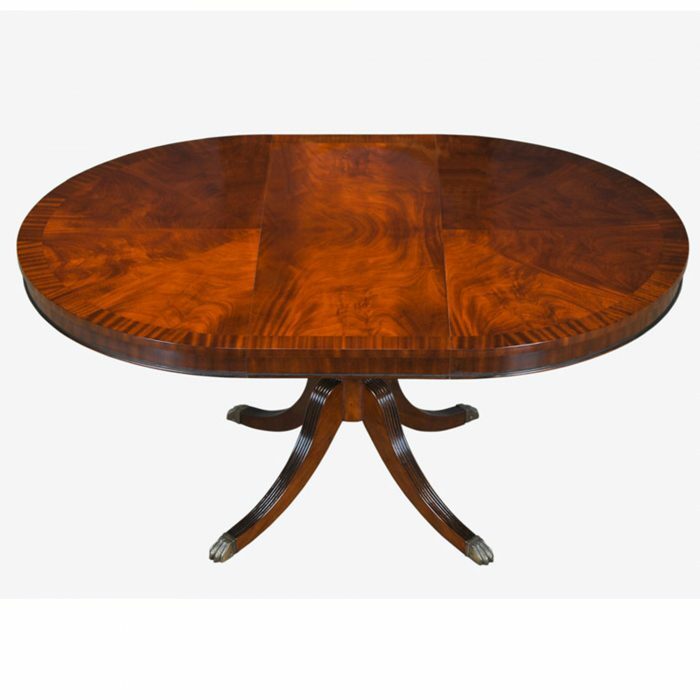 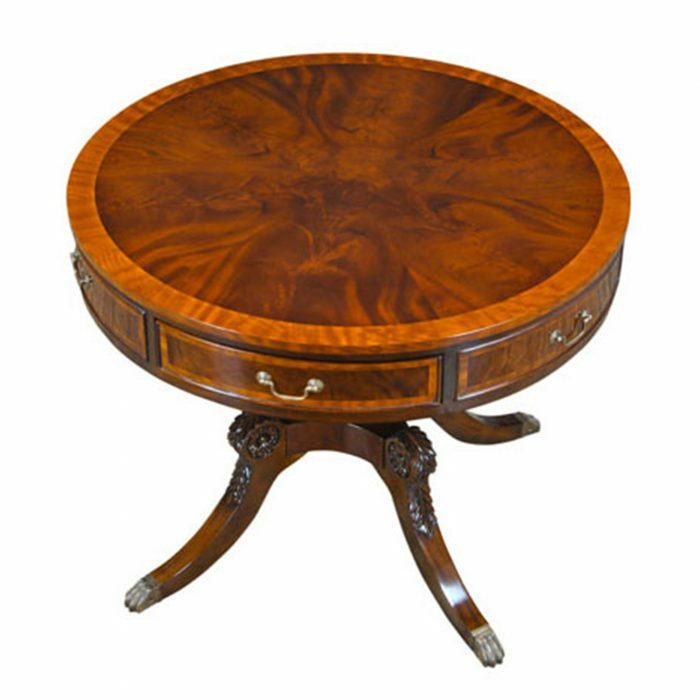 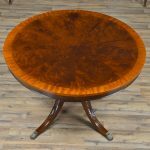 The Harp Center Table is supported with a gorgeous, hand carved, solid mahogany base in lyre shape and resting on four tapered, shaped and carved legs which end in a solid brass cap.